9 Opposing the "War on Terror"
Loren (Bob) Wing is a Southern California/North Carolina activist. He has been a social justice organizer, political strategist and writer since 1968. He was the founding editor of ColorLines magazine and the newspaper War Times/Tiempo de Guerras. His piece, "The Battle Lines are Drawn: Right-wing Neo-Secession or a Third Reconstruction?" went viral and provided a context for better understanding the Right's current offensive against Blacks and other people of color, women, LGBTQ communities, and immigrants as well as the gains won during the Civil Rights era. In this and other strategy articles, Wing is an outspoken advocate for a left/progressive political strategy that works both inside and outside the electoral and governmental arenas in order to defeat the pernicious alliance of the far right of the corporate class and the rightwing grassroots movement. Currently based in Durham, North Carolina, Wing is active in the Moral Monday/Forward Together movement, teacher organizing and Durham politics. Wing speaks and writes regularly about the role of the struggle against racism and the South in the movements for freedom and social justice. Bob Wing is a political consultant, providing strategic planning, campaign development, political education, and leadership building and transition services to nonprofit organizations. Wing has been involved in national and international struggles, especially racial justice struggles, since 1968. He was also a national co-chair of the large antiwar coalition, United for Peace and Justice. He is one of the Moral Monday defendants, helps organize teachers with Organize 2020 and works with the Durham People’s Alliance. In 1969, Wing participated in the Third World Strike that led to the formation of Ethnic Studies at the University of California, Berkeley. He later taught in that department and briefly chaired the Asian American Studies program. Over the years, he has been immersed in many intense and conscious efforts to theorize and to build multi-racial unity and to connect issues of war, racism and politics. Wing has helped start and lead such groups as the massive antiwar coalition United for Peace and Justice, Third World Coalition Against the Vietnam War, the National Committee to Overturn the Bakke Decision, the National Anti-Racist Organizing Committee and others. Wing previously worked as director of strategic projects for Community Coalition in South Central Los Angeles where he also worked with InnerCity Struggle, the East LA Community Corporation, Liberty Hill Foundation and others. Wing has published on issues of racial formation and racial justice, Iraq and the "war on terrorism," elections, Asian American history and the Asian American movement, Mexico, Palestine, sports, and the history of his family's six generations in the U.S. 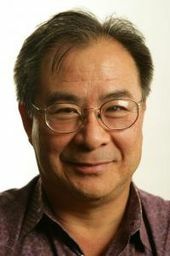 Some of his other essays include: "Toward a Social Justice Electoral Strategy," "Obama, Race and Defeating the Racist Southern Strategy," "War, Racism and United Fronts in the Post 9/11 Era," "Crossing Race and Nationality: the Racial Formation of Asian Americans," "Educate to Liberate: Multiculturalism and the Struggle for Ethnic Studies," and "Hating Barry Bonds." The Racism Research Project was a group of people who had been studying various historical and theoretical questions concerning racism, especially its formative period in the seventeenth century. The Project was not a formal organization. Racism Research Project is an identifying name chosen for the convenience of publication. Gary Achziger, Bruce Occena, Linda Burnham, Smokey Perry, Harry Chang, Barbara Pottgen, Neil Gotanda, Pat Sumi, Paul Liem, Bob Wing, Belvin Louie. Call for a Conference on Racism and National Oppression was a 1980 call by Marxist-Leninists of The Trend, most of whom were Line of March activists, for a national conference on "Racism and National Oppression" to be held in the summer of 1981 in New York or the Bay Area. In the late 1970s Bob Wing was a leader of the Oakland California based revolutionary organization Line of March. The main leaders of Line of March were Max Elbaum, Dale Borgeson, Linda Burnham, Bruce Occena, Melinda Paras, Bob Wing. The Line of March theoretical journal was simply named - Line of March:A journal of Marxist-Leninist Theory and Politics. It was published by the Institute for Social and Economic Studies, PO Box 2809, Oakland California. In 1980 the Line of March editorial board consisted of co-editors Bruce Occena and Irwin Silber, managing editor Margery Rosnick and Linda Burnham, Max Elbaum, Melinda Paras and Bob Wing. . In 1987 the Line of March editorial board consisted of Linda Burnham, Max Elbaum, Bruce Occena, Melinda Paras, Irwin Silber and Cathi Tactaquin. In 1981 Linda Burnham, Bob Wing, Michael Downing, Phil Gardiner, Phil Hutchings, Trinity Ordona were members of the Line of March Racism/National Question Study Project. In 1988 Linda Burnham, Max Elbaum, Arnoldo Garcia, Miriam Louie, Irwin Silber, Cathi Tactaquin, Bob Wing represented the Line of March National Executive Committee and National Board. In the mid 1990s Bob Wing servedon the Board of Directors Oakland based Institute for Social and Economic Studies- sponsor of CrossRoads magazine, which sought to promote dialogue and building new alliances among progressives and leftists... and to bring diverse Marxist and socialist traditions to bear while exploring new strategies and directions for the progressive political movements. In 1992, Bob Wing, CrossRoads endorsed the Committees of Correspondence national conference Conference on Perspectives for Democracy and Socialism in the 90s held at Berkeley California July 17-19. Bob Wing was the founding editor of ColorLines magazine. Opposing the "War on Terror"
In the immediate aftermath of 9/11 supportersof STORM and the Bay Area Committees of Correspondence for Democracy and Socialism established Ad Hoc Committee 'On Poitical Strategy' to fight against Bush's war against terrorism. The committee included Betita Martinez, Cindy Wiesner, Max Elbaum, Edget Betru, Harmony Goldberg, Clarissa Rojas, Roxanne Dunbar-Ortiz, John Trinkl, Hany Khalil and Bob Wing. As we immersed ourselves in the fightback to Bush's war against terrorism, we felt the need to get our political bearings as leftists. So we organized a discussion attended by 27 diverse left activists in the San Francisco Bay Area on Sept. 30. September 11, and the Bush administration's reaction to it, is a defining historical moment, ushering in a new and dangerous period in international politics. Washington's agenda is to entrench the national security state and a new level of international dominance on the basis of a permanent war on terrorism--bringing the "new world order" to fruition. The defining political axis of this new period is Washington's international war on terrorism--and the fight against it...The political and ideological balance of forces, demands, and outcomes of all struggles will be affected by this central issue, to one degree or another. Given this, the fight for peace should be the central demand for the people's movements...However, peace is not a centrist, liberal demand, but in fact is central to an anti-imperialist agenda. Its main content is that of staying the hand of imperialist war and fighting U.S. militarism in all its forms. On Dec 11 2001 Bob Wing lectured at the Sacramento Marxist School on Post 9/11 Left Political Strategy. In January 2002, a group of San Francisco leftists, mainly former Maoists or involved with STORM or Committees of Correspondence, founded a national anti-Iraq War newspaperWar Times. The pilot issue of War Times, a new biweekly newspaper opposing the "war on terrorism," will roll off the press on February 14... Featuring an exclusive interview with Danny Glover and a letter to President Bush from Nobel Peace Prize winner Rigoberta Menchu, the premier of this bilingual, free publication will be distributed in several dozen cities across the country. In 2003 Holly Sklar addresseda Democratic Socialists of America Conference in Berkeley, California, along with Gus Newport and Bob Wing. In August 2004 Bob Wing endorsed an anti “Bush Team” Protest at the Republican National Convention in New York, organized by Not In Our Name, an organization closely associated with the Revolutionary Communist Party. In 2005 Bob Wing, War Times was on the Steering Committee of United for Peace and Justice. Jan Adams, Karolo Aparicio, Mariana Bustamante, Ruth Warner Carrillo, Jung Hee Choi, Max Elbaum, Arnoldo Garcia, Rebecca Gordon, Felicia Gustin, Hany Khalil, Rachel Kahn, Lynn Koh, Gerald Lenoir, Burton Li, Betita Martinez, Samuel Orozco, Ricardo Ortega, Sushawn Robb, Kerry Taylor and Bob Wing. In 2009 Bob Wing was listed as the Consultant, Director of Strategic Projects of the Community Coalition. A "Meeting on Community Organizing, Civic Participation & Racial Justice" - organized by the Philanthropic Initiative for Racial Equity December 2011, Washington, DC. August 2, 2013 Bob Wing published an article in Counterpunch, on organizing in the South "Rightwing Neo-Secession or a Third Reconstruction?" Special thanks to my lifelong colleagues Max Elbaum and Linda Burnham and to Jon Liss, Lynn Koh, Carl Davidson, Ajamu Dillahunt, Raymond Eurquhart and Bill Fletcher, Jr. for their comments, critiques and suggestions. In May 2013 Bob Wing traveled from his home in Durham to spend eight days working to elect Chokwe Lumumba during the runoff election. Wing thankedd Ajamu Dillahunt, Makani Themba and Derrick Johnson for their editorial suggestions for a People's World article on Lumumba's victory. CoCo Gala Dinner — with Gerald Lenoir, Karen Bass and Aurea Montes-Rodriguez in Los Angeles, California. Bob Wing with Hassan Braud, Hakim Braud, Lucas Daumont, Phil Hutchings and Joaquin Osoluna, January 13, 2014. Lenoir and Associates collaborates with these and other consultants to provide a fuller range of services to their clients. Leonard McNeil (Mac) is the owner of Asset-based Consulting, LLC. Jamana Lenoir is the owner of Frontline Multimedia. With Bob Wing, Linda Burnham, Gerald Lenoir, Dorian Warren, Minerva Solia, August 23, 2016. "The Importance of the Fight for the South--and Why It Can and Must be Won", By Bob Wing and Stephen C. McClure appeared in Organizing Upgrade Monday, 04 September 2017. (1) A critical mass of Southern states can and must be won if we are to block or defeat the right in presidential elections. Three of the five or so critical battleground states are in the South: Florida, Virginia and North Carolina. Southern blue and battleground states plus Washington D.C. hold 38 percent of the electoral votes needed to win. (2) Winning an anti-rightwing congressional majority depends on winning in the South, as the South has a bigger congressional delegation than any other region and Southern congresspersons also hold key leadership posts within the Republican Party's congressional hierarchies. All of these points will sharpen in the coming decades, as the South is projected to continue to experience greater population gains as compared to the rest of the country. That population gain is rooted in the ongoing transformation of the Southern economy which is driven by changes in the global economy. Well aware of this, the far right has launched a withering campaign of voter suppression, racist gerrymandering and straight anti-democratic legislative maneuvers to combat it. The South is becoming ever more important economically and politically, not less. While some might dismiss the South, focusing strategically on the Northeast and Pacific Coast as central to a progressive program and the Midwest as the main political battleground, the South's dynamic growth, historical legacy of Black struggle and powerful political weight make it a critical battlefield. The nuance is that the South cannot be won as a bloc, but only state by state and county by county. In fact, winning the South in large part means understanding that it is not a monolithic entity and winning it piece by piece: i.e. politically deconstructing the South. This page was last modified on 12 May 2018, at 04:23.